Harald Koelln grew up running around the neighborhood with Charley when they were kids – they had been friends for over 80 years before Harald passed away in 2014. Harald served as a Sturmgeschutz (Self-Propelled Gun or SPG) commander on the Russian front, and was a POW in Russia for many years before he was allowed to return home to Germany. He, Charley and Hans von Luck (author of Panzer Commander) worked together at the same coffee firm. 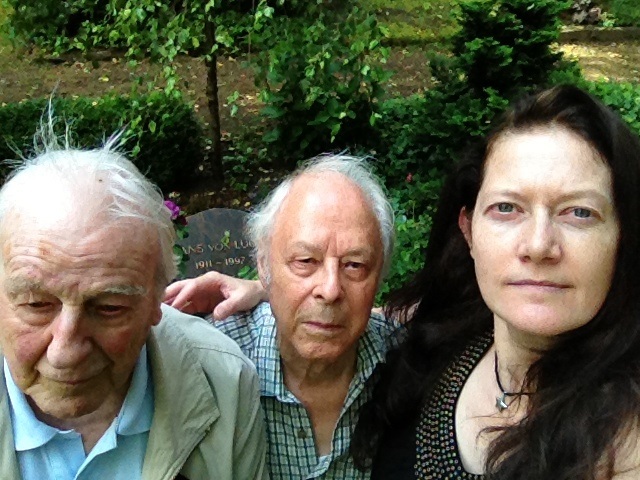 We visited Hans von Luck’s grave together on several occasions.